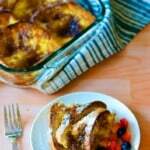 Prep for this Baked French Toast right before bed and enjoy a weekend style breakfast on any weekday morning. Who doesn’t dread Monday mornings? We always manage to wake up late on Mondays which is because either we had too much fun the previous day or spent the weekend cleaning up the mess we created the previous week. Whatever the reason, the end result is always the same – being pressed for time to start our day with homemade breakfast. 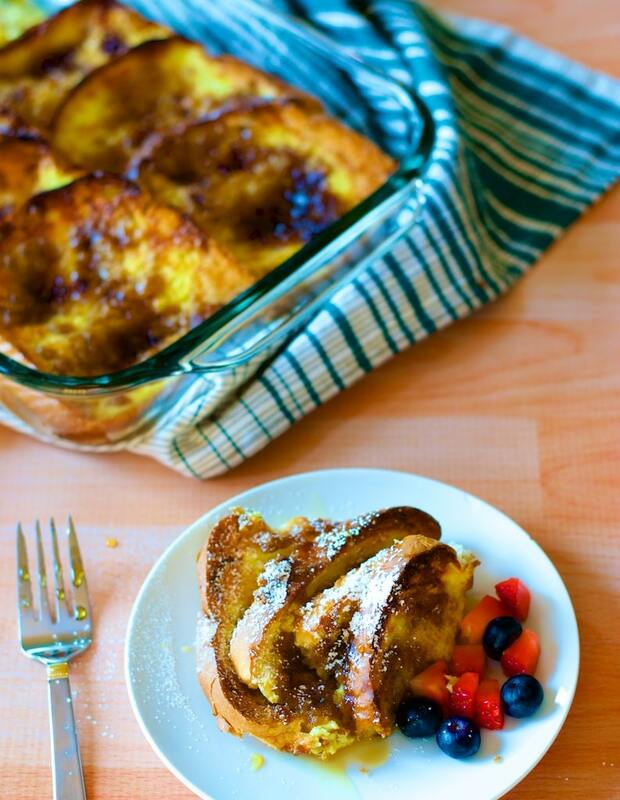 What I love about this recipe for Baked French Toast is the fact that you can put this dish together the previous night and bake it the next morning for a perfect “pick me up” breakfast. It is a perfect treat for a busy Monday morning. Enjoy this with a hot cup of cappuccino and your Monday mornings will never be the same. Don’t forget to grease the baking dish before you get started. One more thing, when you bake the bread slices together in a dish, they will stick to each other so don’t expect them to turn out like how it would when you fry them individually. Beat eggs until they are light, frothy and evenly colored. Dip a slice of bread into mixture making sure both sides are evenly soaked and place the bread slices in the greased baking dish. It is okay to overlap the bread slices. Repeat the process with the remaining bread slices. Pour the remaining batter on top. Cover the baking dish and refrigerate it overnight. When you are ready to make French Toast next morning, preheat the oven to 375 F degrees.Remove the cover from the baking dish after taking it out from the refrigerator. Sprinkle the bread slices with brown sugar and melted butter or ghee. Bake the dish for 25 minutes and broil it for a minute or two if you like the bread to be crusty. 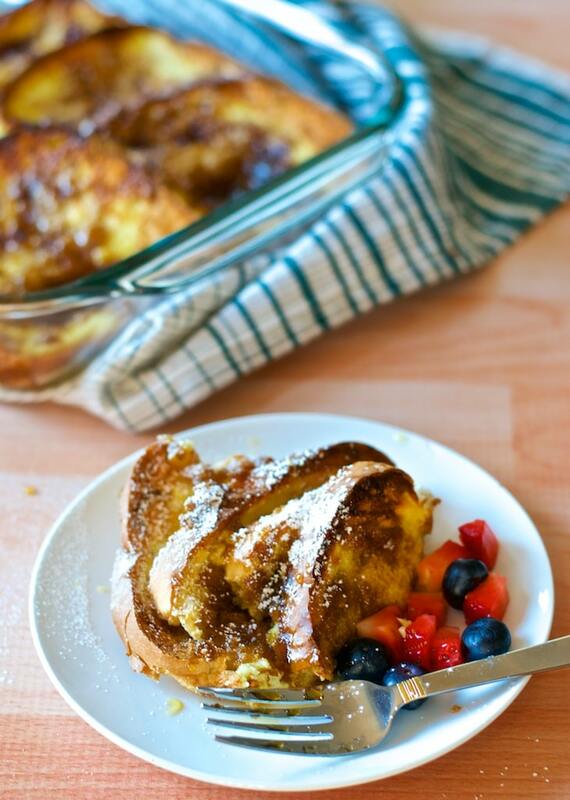 I would love to hear from you on how this recipe for Baked French Toast worked out for you. If you have a make-ahead breakfast recipe that you love, please share the recipe with me in the comments below.